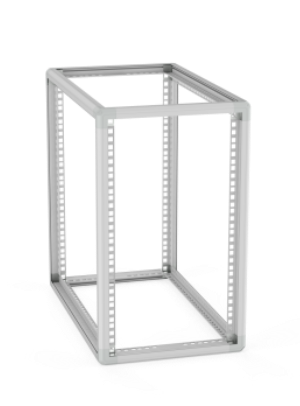 Compact Rack Standard - Alutron S.r.l. 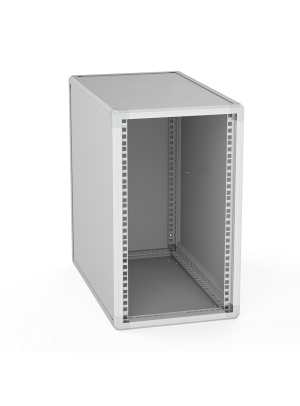 Our frames are made of extruded aluminum profiles painted with a standard treatment, in RAL 7035 White Gray. Optionally, they are anodised and treated with the conductive SURTEC 650. 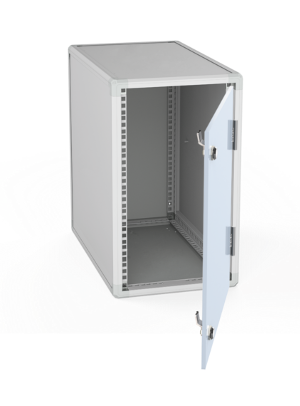 Cabinets with extruded aluminum rack frame, 10/10 steel enclosure panels, fixed steel roof 10/10. 20/4 “core and extruded aluminum profile. Painted RAL 7035 standard. Optionally anodised and treated with conductive SURTEC 650.